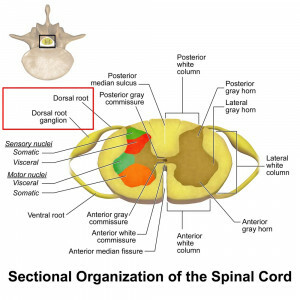 The DRG (dorsal root ganglion) is a bundle of sensory nerves in the spine. These nerves transmit pain from the peripheral nervous system (arms and legs for example) through the spinal nerve and into the spinal cord and subsequently up to the brain. 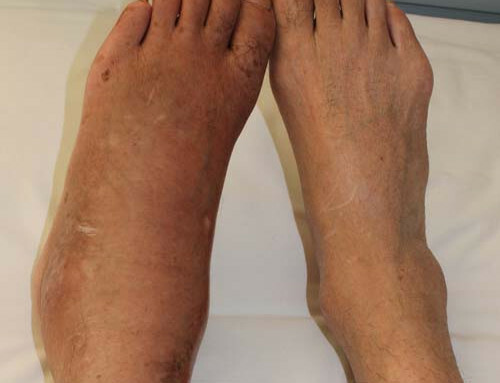 The DRG is believed to play a key role in the development of chronic neuropathic or nerve pain, especially in the setting of CRPS (Complex Regional Pain Syndrome, previously called RSDS). Applying electrical stimulation to the DRG can interrupt the pain signals and provide relief of focal nerve pain. 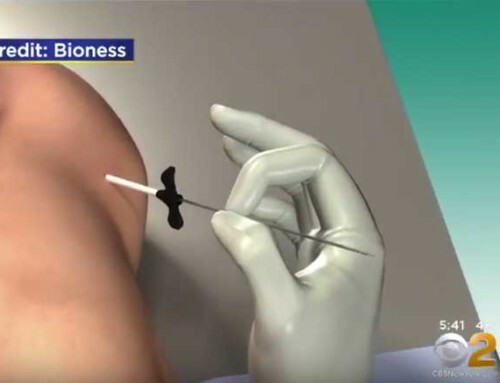 DRG stimulation is relatively new receiving FDA approval in 2016. 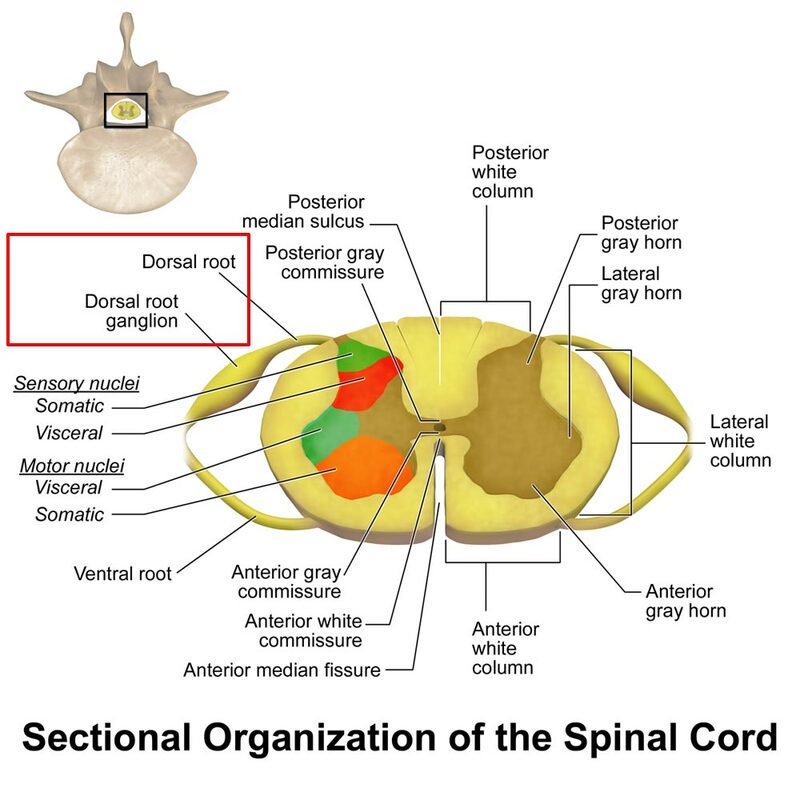 The function of DRG stimulation is very similar to that of spinal cord (or dorsal column) stimulation with several key differences. 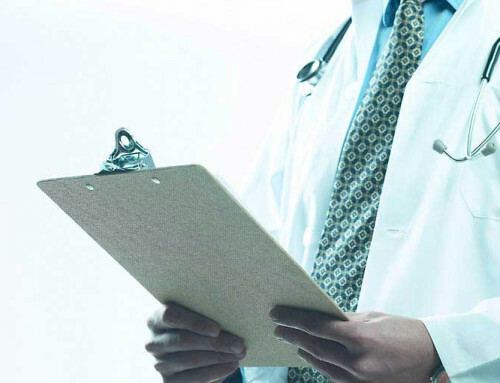 DRG stimulation is able to provide stimulation to focal areas of pain that have been historically difficult to treat with traditional spinal cord stimulators, such as the hand, chest, abdomen, groin, knee and foot. During the procedure, leads – essentially specialized wires that transmit the electrical stimulation- are placed next to the DRG within the epidural space. 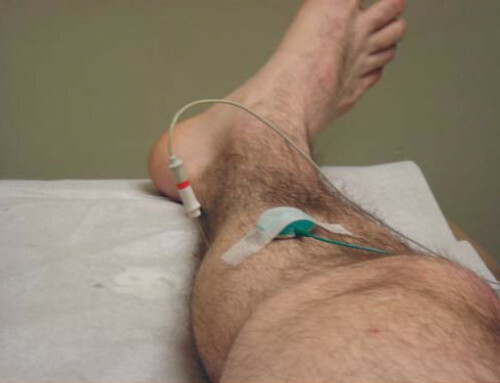 The leads are then connected to a pulse generator that delivers small electrical impulses to block the pain. A one week trial is typically performed where temporary leads are placed and attached to an external pulse generator. If effective, the leads can be surgically implanted and attached to an internal pulse generator that gets implanted under the skin. By targeting these easily accessible nerves, the stimulation can be focused on a certain part of the body, while avoiding stimulation of other, non-painful areas. There is less fluid surrounding these nerves, which means less energy is required to stimulate the nerves leading to longer battery life. This also means the leads are less likely to move or shift and change in body positions will likely not alter the stimulation as seen with traditional spinal cord stimulators. 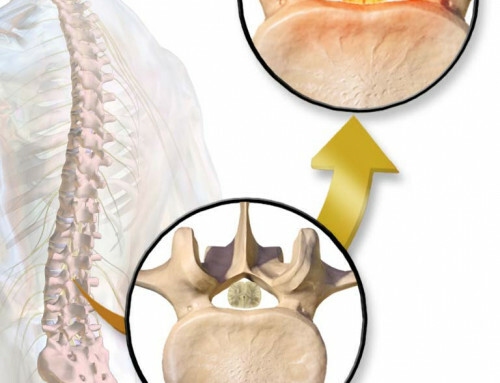 According to studies, patients showed more significant and sustained pain relief and 3- and 12- months after DRG implantation compared to traditional spinal cord stimulation.